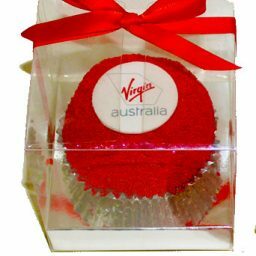 Vanilla and/or Chocolate flavoured cupcakes with signature Vanilla Buttercream icing topped with your logo on an edible fondant disc. The fondant disc protects your logo from being discoloured by the icing. Quantity from 1 to 100 cupcakes.